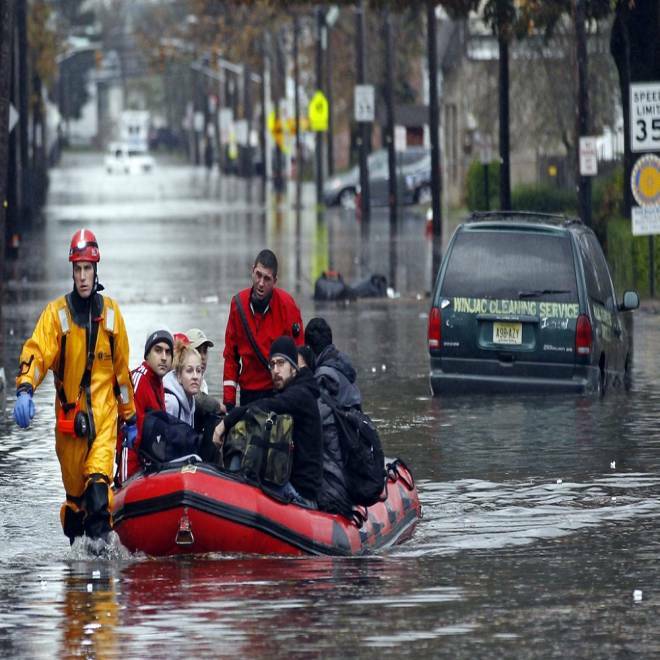 Emergency personnel rescue residents from flood waters brought on by Hurricane Sandy in Little Ferry, New Jersey, October 30, 2012. The Red Cross is providing shelter, clothes, supplies, food and blood, as needed, for the victims of Sandy. You can donate blood, but in terms of items, you'll be doing more for those in need by donating money instead of physical goods. The Salvation Army is providing meals and shelter. "At this point, in-kind donations, such as used clothing and used furniture, are not being accepted for hurricane relief. However, these items are vital to supporting the day-to-day work of your local Salvation Army," the organization said Tuesday in a press release. Online: Salvation Army; here's the organization's New Jersey site, and its Greater New York site. Many pet owners were able to take their pets with them, but for those who were not, the Humane Society's Animal Rescue Team is assembling staff and equipment to help rescue pets in the Mid-Atlantic and Northeast. The association is helping animals that may need rescue or shelter. Text message: Text the word HUMANE to 80888 to donate $10. Online: The AHA's website for donating is here. Habitat, an international organization, helps those in need rebuild their homes after disaster strikes. Phone: If you want to make a donation, you can call Habitat's Partner Service Center at 800-HABITAT (422-4828). Press "0" when prompted and representatives will take your donation information over the phone. Online: This is Habitat for Humanity's main website, and this is the link for donating to Sandy victims. This group coordinates efforts with the state's Office of Emergency Management, as well as with state and local nonprofit organizations. Phone: (908) 355- FOOD (3663), ext. 243. The organization will deliver food, water and supplies to communities in need through its network of food banks and the agencies they serve. Online: This is Feeding America's main website. Catholic Charities provides emergency food, shelter, direct financial assistance, counseling, and support "regardless of religious, social, or economic backgrounds." Online: More information here; main website here. This group provides emergency medicine and supplies. Donations are accepted on its accepts donations on its website. This local NYC program is "the city's largest volunteer organization, running volunteer programs for 1,300 nonprofits, city agencies and public schools." It is recruiting volunteers to help with Sandy relief efforts, and is also raising money. Online: New York Cares; donation page here. You can also approach the city government directly to volunteer, by emailing nycservice@cityhall.nyc.gov with your name, email address and borough. The organization provides medicine and supplies to partner health centers and clinics. Text message: Text the word RELIEF to 27722 to give $10. Online: Direct Relief International is the main website; go here to donate online. The Mayor's Fund to Advance New York City charity supports "impactful public programs serving some of the City's greatest needs." Online: The Mayor's Fund website is here. Describing itself as "a Christian humanitarian organization dedicated to working with children, families" and communities, World Vision provides flood clean-up kits, hygiene kits, blanket and food kits. Text message: Text the word GIVEUSA to 777444 to donate $10. Online: For World Vision's Hurricane Sandy relief, click here. Provides immediate relief, assistance with cleanup and rebuilding, pastoral counseling and support for children and youth who have been through trauma. Text message: Text the word RESPONSE to 80888 to give a $10 donation. The Jewish Federations of North America Hurricane Relief Fund will contribute to recovery and rebuilding. Text message: Text the word RELIEF to 51818 to pledge a donation. Online: The Jewish Federations of North America. One of the most badly damaged communities in Sandy's wake is Breezy Point, Queens. Catholic University student Matthew Petronis created this fundraising page to help his community rebuild. "I have seen the damage and can say that the place where I grew up during my childhood is almost gone," he wrote on the page, "but that is not the case for the children that are growing up now!" Though smaller instant charities are not always recommended for donating (for reasons discussed below), NBC News reporters have interviewed Petronis, and verified his story. Text message: Text the word HURRICANE to 20222 to make a donation. 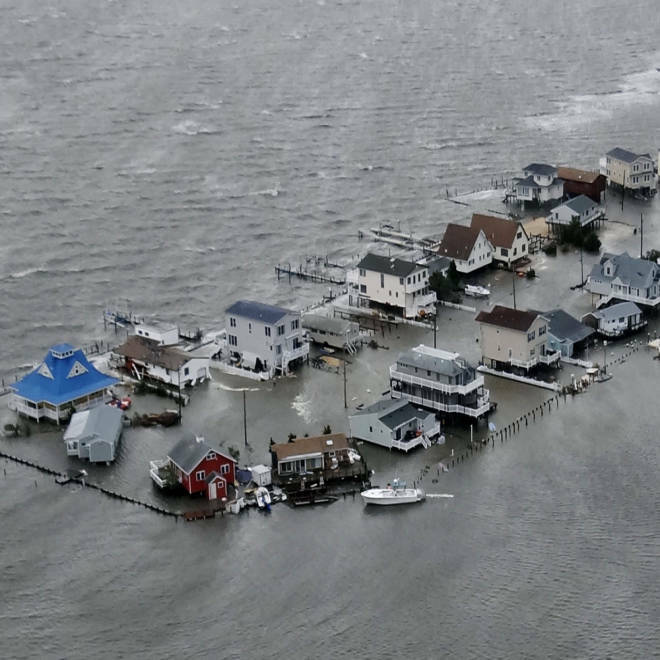 In addition to a Sandy Recovery Fund, United Way helps operate the 2-1-1 national network that provides "24/7 critical, non-emergency health and human services information and connects volunteers to organizations seeking assistance." United Way spokesman Wilhelm U. Meierling says, "We’ve experienced a 40 percent increase in calls during and after the storm, but we want more people to know this resource exists." Text message: Text the word RECOVERY to 52000 to make a $10 donation. Sandy, of course, hit Haiti before it got to the U.S., and the IRC distributed emergency supplies — tarps, flashlights, water containers, mosquito nets — to more than 4,200 storm victims.The IRC is also working with other emergency responders to monitor makeshift camps where cholera was a problem in the past. AARP Foundation has established a relief fund to support victims in the U.S. devastated by Sandy. AARP and its affiliates will match contributions dollar-for-dollar up to $500,000. Online: To donate to the relief fund, please click here. Operation USA is sending emergency, shelter and cleaning supplies to areas hit by Sandy, and is helping "community health clinics restore services to best serve their communities." Text message: Text the word OPUSA to 50555 to make a $10 donation. We'll be updating this list. Remember that while giving is good, beware of those out there who are not good and are trying to trick you by taking your money. In the aftermath of Hurricane Irene last year, the Federal Trade Commission's caution still holds true: "Scammers may try to take advantage of a disaster, and so consumers should be wary of urgent appeals for charitable donations, and watch out for fraudulent home repair schemes after a storm." You can read more about avoiding home repair rip-offs and charity fraud from the FTC. Also, the FBI has counseled on its Facebook page "to beware of fraudulent emails and websites claiming to conduct charitable relief efforts. Disasters prompt individuals with criminal intent to solicit contributions purportedly for a charitable organization or a good cause," and suggests reading "Tips on Avoiding Fraudulent Charitable Contribution Schemes" to learn more about avoiding online fraud.